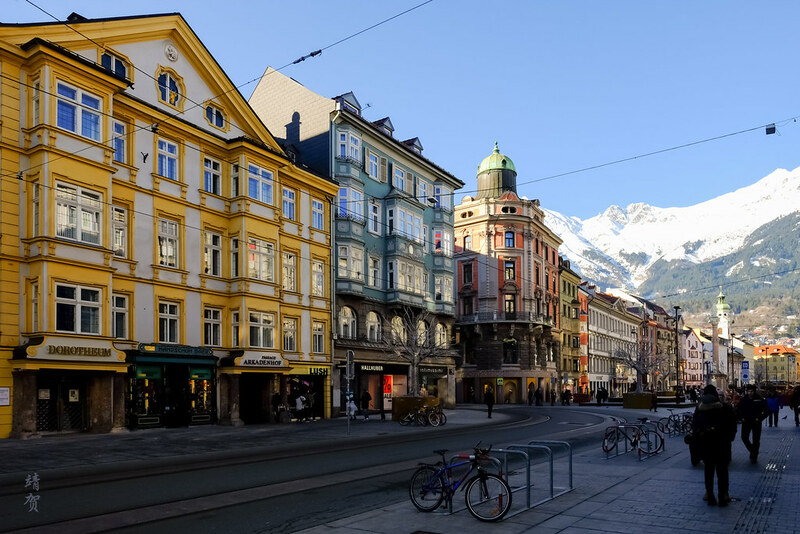 Innsbruck is one of the top tourist destination city in Austria, after Vienna and Salzburg. It is also considered the heart of the Alps and it shows on arrival into the city as snow-capped majestic peaks surround the city. As a centre for winter sports, the city is one of the few to have hosted the Winter Olympics twice, in 1964 and 1976. 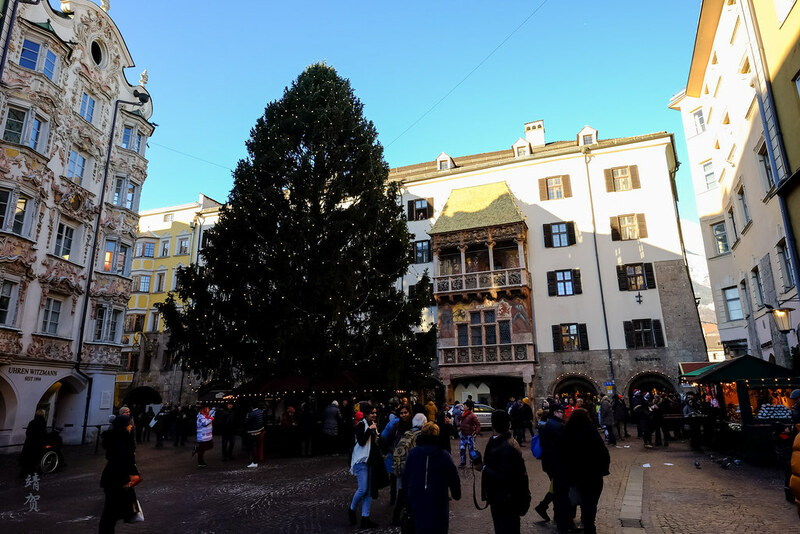 Thus it only makes sense for me to use this as a transit point on my way to Sölden, and as the first time in the city, I made a guide to see the sights in this compact city within a day. The center of town is near to the airport making it convenient as it takes only about 20 minutes to get to the city by an airport bus. 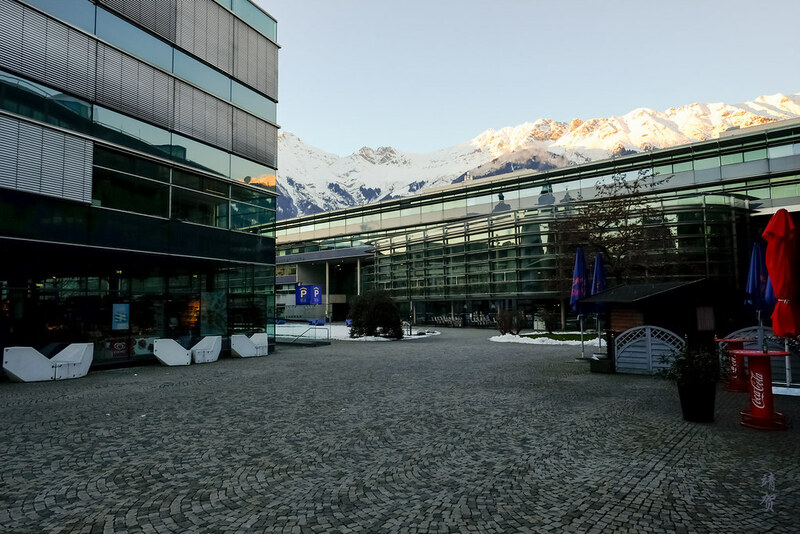 Starting from Innsbruck Hbf in the morning, maybe guests would like to check in at either the Grand Hotel Europa or the modern Adlers Hotel. On a budget, the ibis located across from the station is a convenient choice. 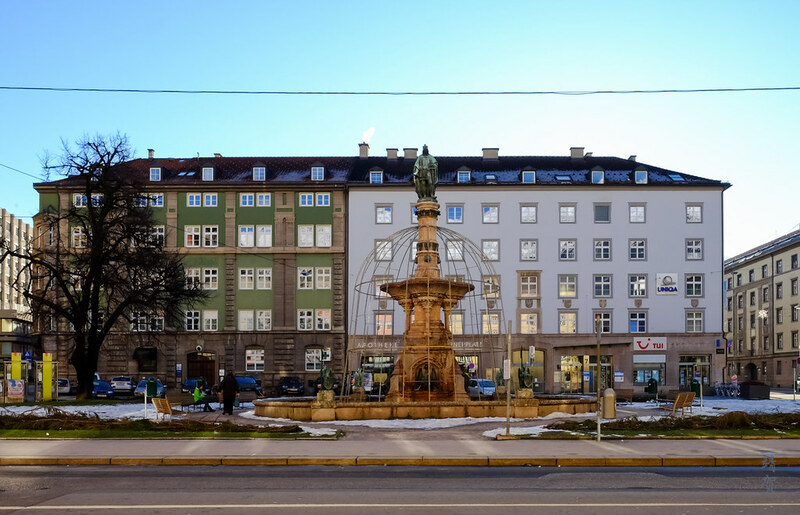 After checking in and having breakfast, walk down Salurner Straße which starts from the ibis Hotel and you would end up at the Landhausplatz, a plaza with Tourist Information offices around along with a great place to meet up with local friends or guides. From there, one of the most visible landmarks, the Triumphforte which is an arch built to commemorate the wedding of Archduke Leopold to Spanish princess, Maria Luisa, on 5th of August 1765. This arch also marks the start of the Maria-Theresien Straße which can be considered as the main historical street leading to the old town. Some of the city’s best restored buildings can be found in this stretch. Today, that also means an area for shopping with plenty of shops along this street. Straight ahead from Maria-Theresien Straße lies the Annasäule or the St. Anne’s Column. This long and rectangular plaza becomes a Christmas market during the festive season where visitors can buy decorations and munch on Bratwurst while sipping hot mulled wine. 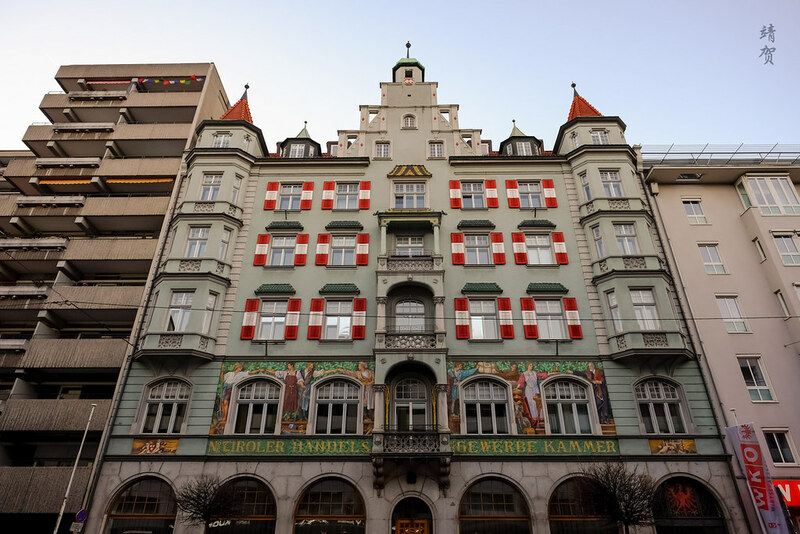 Moving further along Maria-Theresien Straße and crossing into Herzog-Friedrich-Straße, travellers would reach the Goldenen Dachl (Golden Roof) which can be considered the quintessential icon of the city. An ornamental roof comprising of 2,657 copper tiles was added to this building, once again to commemorate the wedding of Emperor Maximilian I to Bianca Maria Sforza. After the walk and obligatory photo taking, it maybe a good time to try out Tyrolean cuisine since Innsbruck is after all the capital of the Tyrol state. Another area to find food is by heading to the Inn riverfront on the west side of the Goldenen Dachl and walking along the promenade to reach Markthalle which also functions as a public market. 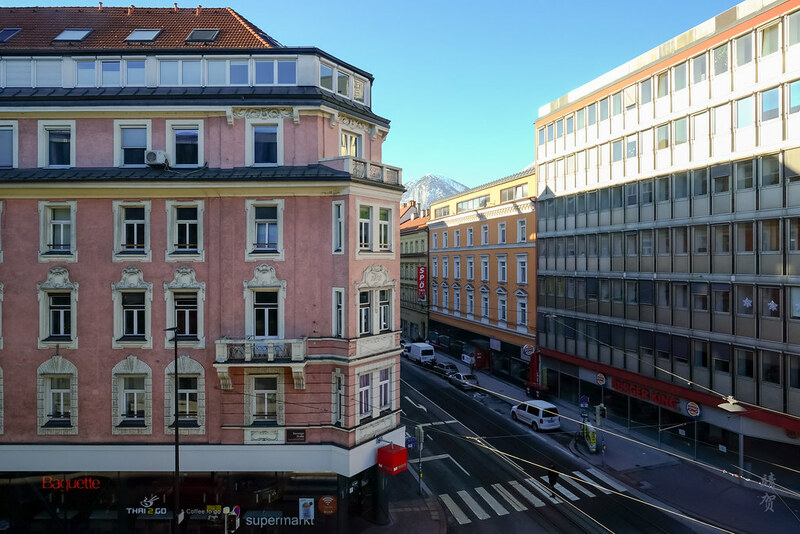 After lunch, head back into the Golden Roof landmark to explore the small alleys of Hofgasse. 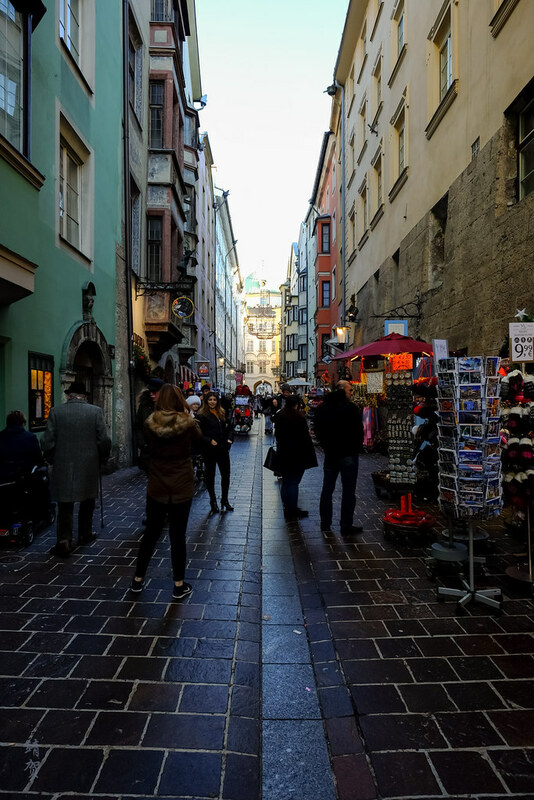 Along this alley, there are several souvenir stands and places that sells strudel – another Austrian specialty. There should always be some space for desserts and where better to indulge than getting an apple strudel with vanilla cream sauce? 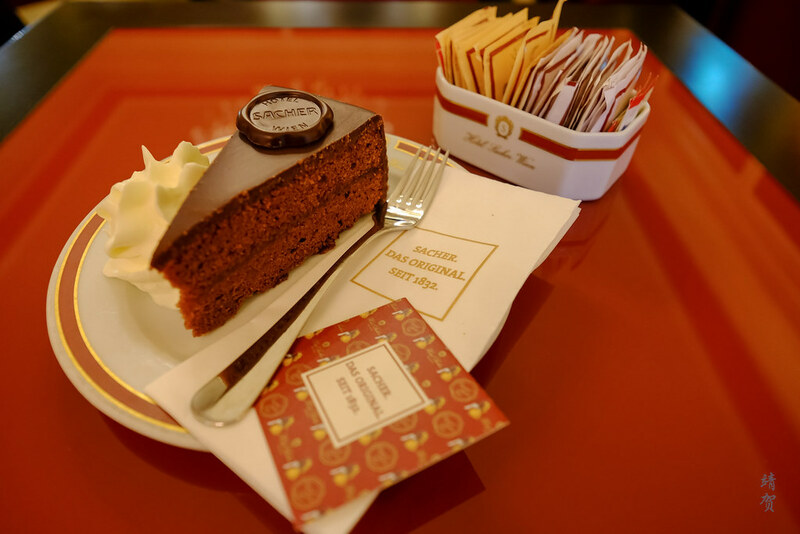 If one is not in the mood for creamy pastries, there is another option here since the renowned Cafe Sacher from Vienna has a branch located on the grounds of the Hofburg serving the famous Sacher Torte! Do be prepared to wait a while as this small cafe can get busy at times, but indulging in a Sacher Torte is certainly a reward in its own! Done with the food, it is once time again to continue exploring this city. Start off the rest of the afternoon by exploring the grandeur of the Hofburg, one of the Habsburg palaces that remains next to the Schönbrunn Palace in Vienna. The palace is now a museum that showcases the way the royals lived during the 18th till the 19th century. 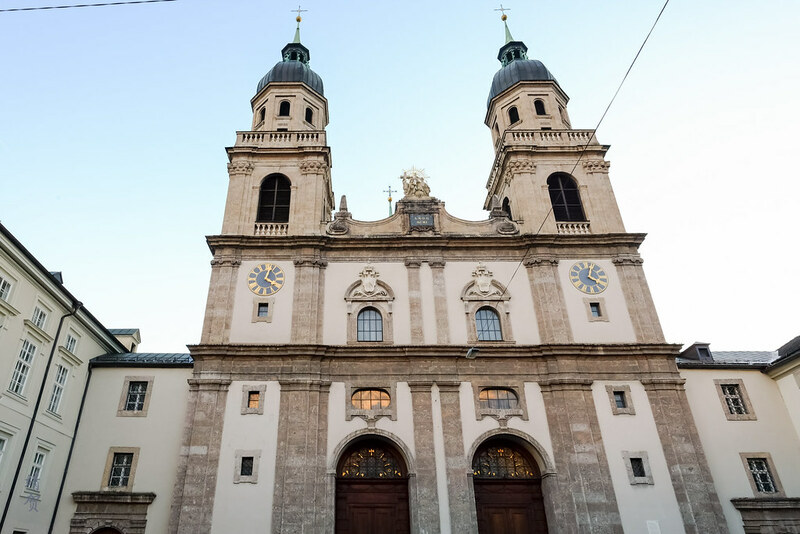 With a Baroque reconstruction, the palace has an imposing facade in the city and the dome of the Innsbruck Cathedral adds a landmark in the city skyline. 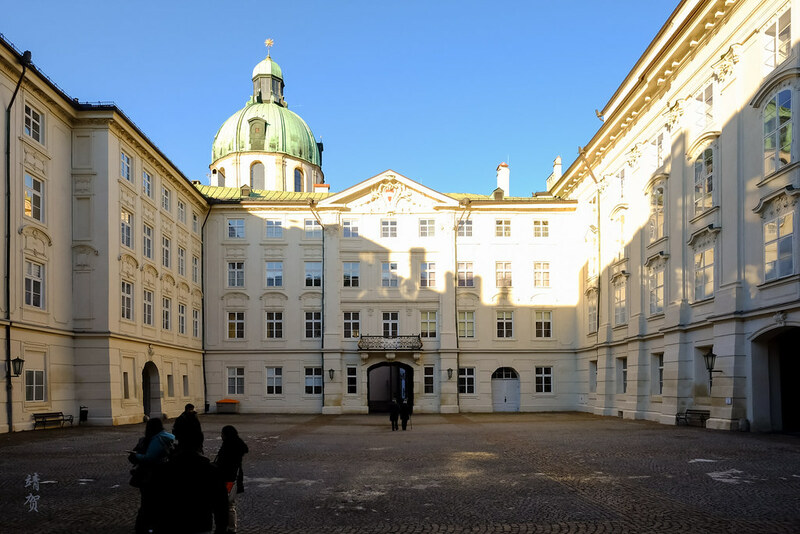 Around the Hofburg, there are several other points of interest like the Hofgarten which is the landscaped royal gardens, the Landestheater, the Hofkirche which has become a museum and the Jesuitenkirche. Turning east from the Hofburg leads into Universitätsstraße which is where academic buildings of the University is located at. This quaint little neighbourhood thus is home to several restaurants including a Nepali restaurant Himal. Perhaps it is then one venue to consider for dinner later tonight. The University district also brings a change with modern glass buildings sitting alongside traditional hotels like the Schwarzer Adler. In the springtime, expect to see plenty of activity in the cafes here adding dynamism to this mountain city. With the Universitätsstraße marking what might be the boundary of the old town, it is time to head back to the hotel for the evening and refresh for dinner. But not without making a last stop by exploring the commercial district of Meinhardstraße. 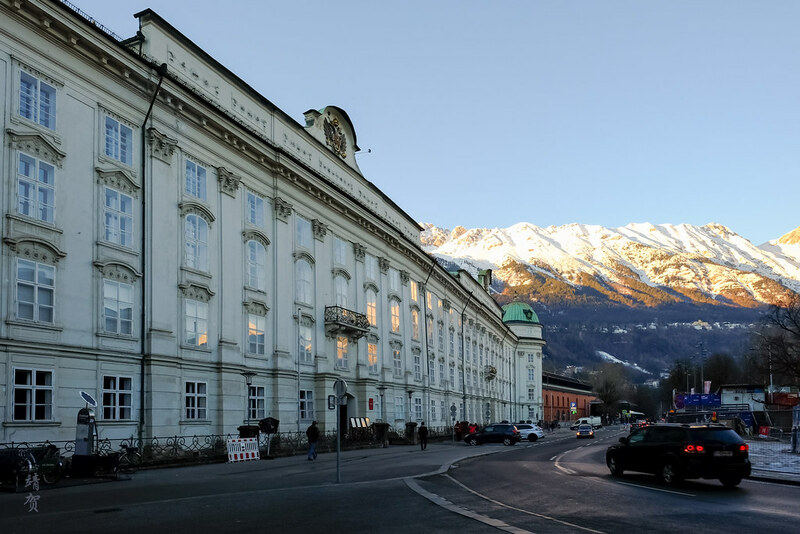 It is along this street that visitors can find another architecturally distinct building which is the Tiroler Handelskammer. This building was the old Tyrolean Chamber of Commerce indicating the city’s importance for commerce and trade due to its location between North and South of the Alps. The area around Museumstraße and Meinhardstraße today houses plenty of the business services to cater to residents of the city and would be one of the busiest commercial streets on a work day. 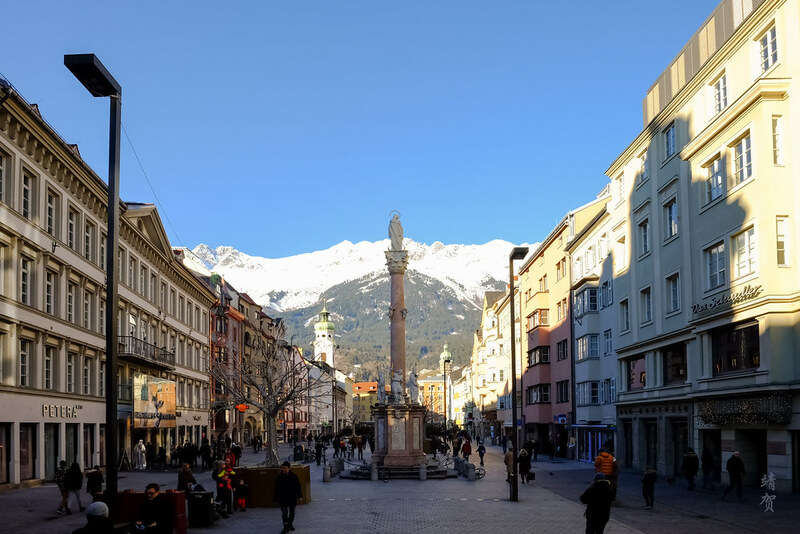 It is also at the other end of Meinhardstraße that I end this walking tour as this intersection is just but a block away from the Innsbruck train station and a short walk to Rudolfsbrunnen Square, a smaller city square for those seeking to spend the evening exploring more of this city. Skiers for one will find plenty of ski resorts within an easy train commute from this city, which is perhaps why as the sun sets, it is common to see skiers with their skis walking around the train station. However, non-skiers would also find a bit of the rich history of the rule of the Habsburgs as one of their Emperors used to rule from this city. A compact city plan and plenty of quaint alleys with heritage buildings makes this city fun to explore on foot. 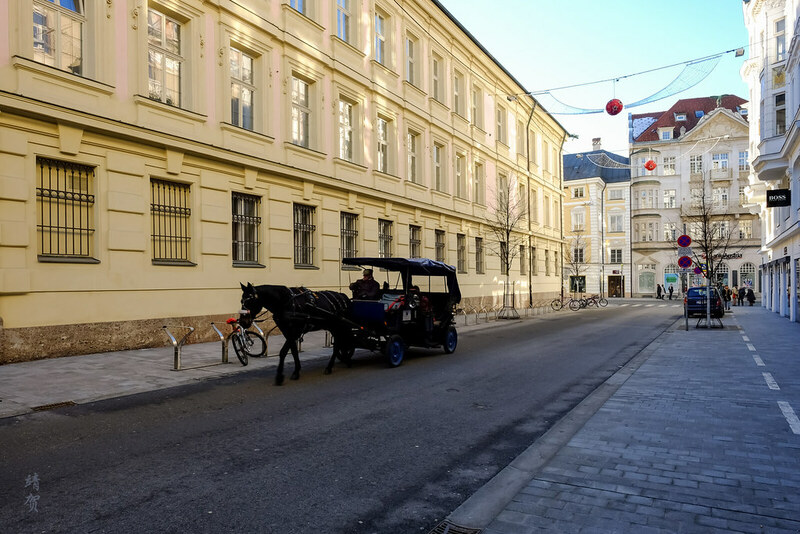 Or for the physically challenged, there is always a horse carriage ride around the old city to re-live the golden age of Innsbruck.